Modern, soft und refined: The trend towards matte surfaces is catching on. 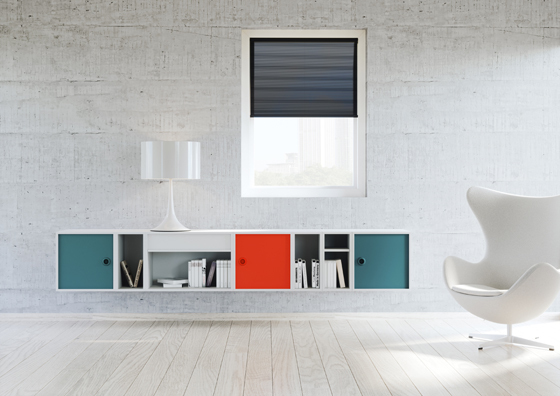 Away from high-gloss towards velvety surfaces – matte is becoming the symbol of exclusiveness. The choice of materials has a decisive influence on spatial effect and style. Matte surfaces add sensual accentuations. You can emphasise the style or, in combination with high-gloss surfaces, create interesting counterparts. They have a convincingly unusual look and a particularly warm feel. For HEWI, the choice of surface is an independent dimension of product design. With the Matt edition, HEWI offers a unique surface, which appeals to the senses and at the same time creates space for individuality. 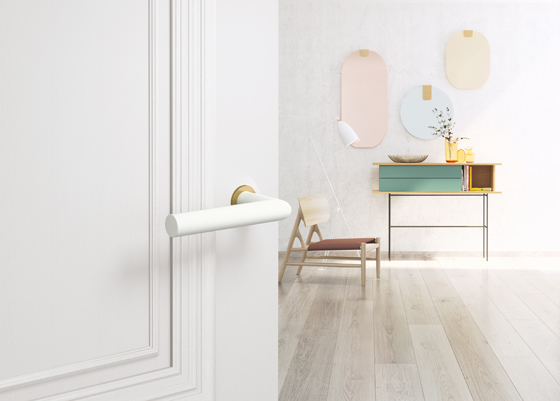 The comprehensive product range, consisting of two exclusive door lever handle designs in the bicolor and mini variants, furniture hardware, coat hangers and hooks, provides even more design leeway. 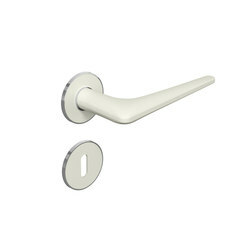 The door lever handle designs 250 and 162 emphasise the characteristic look and feel of the Matt edition. Use bicolor to create your personal design object or set purist accents using mini. 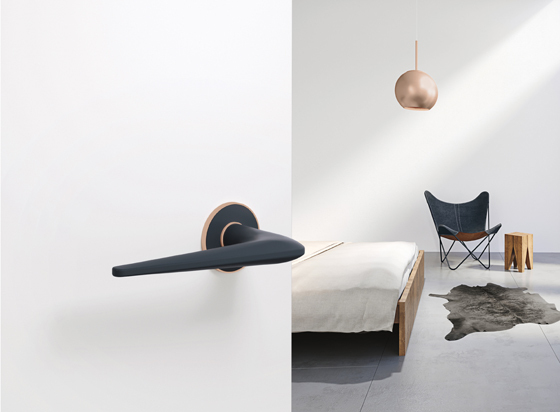 Matching furniture hardware, coat hangers and coat hooks with a matt surface enable continuous design. Whether on the door or furniture – with the matt edition you add extraordinary accents with a very special feel. The velvety finish of the Matt edition is achieved by a special finishing process, in which the polyamide products are machined by hand. The result is unique design objects made in Germany. In bicolor the matte surface meets stainless steel. Roses made of stainless steel and with metallic PVD finishes surround a coloured inlay made of polyamide. Use satin finish roses to emphasise the velvety look and feel of the door lever handle or use high-gloss surfaces to create an interesting contrast. The lever handle designs of the Matt edition are available in jet black, anthracite grey and pure white. 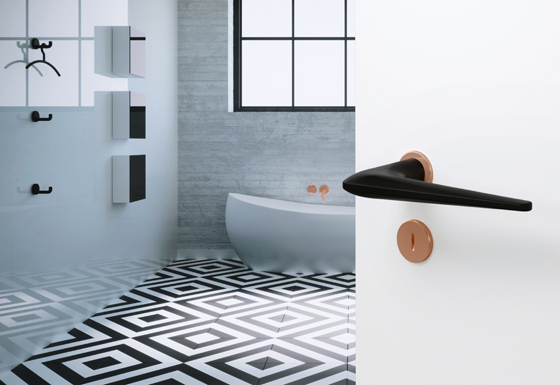 The reduced size and shape of the rose allows the door lever handle to become a style-defining element. The Matt edition in combination with the purist mini design solution unites a sophisticated design with innovative reliable technology and first-class quality. 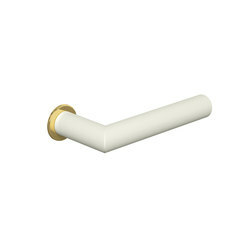 The mini roses are exclusively available for the door lever handle models 162 and 250. They are available in polyamide and also in satin finish or high-gloss stainless steel and with a PVD finish in the nuances brass, copper and black chrome. With the Matt edition you add accents – with a minimalist look and a very special feel. With the Matt edition, HEWI offers a consistent product range. From furniture hardware to coat hangers through to hooks: with the Matt edition, you add characteristic accents. In addition to the matte surface, colour also becomes a design element here. The products are available in all HEWI colours. They thus either become an eye-catcher or discreetly fit into the room design. Give free rein to your creativity. With the help of the configurator, you create your own individual door lever handle, completely to your own personal preferences – as a one-off or as a continuous design object, which underpins the character of the building.